It’s around 4 at night and I’m sitting alone in a really cold, dark and creepy room filled with swords, black candles, skeleton heads and other such things. I have no phone and I’m more or less in the middle of nowhere. I know the room is just a simple result of a typical Norwegian “gothic things lover” who is in fact as dangerous as a new born lamb, but that doesn’t make the place less creepy. The view from the window doesn’t make it any better. It’s been snowing for a while and all I can see is the blurry lights from the nearby shipyard. How did I get here? That’s what you get when you turn down the chance to a trip to the pub after a very loud vorspiel (the drinking foreplay of the party night). Boyfriend-gone, friends of boyfriend- gone, girlfriends of friends of boyfriend- gone too. 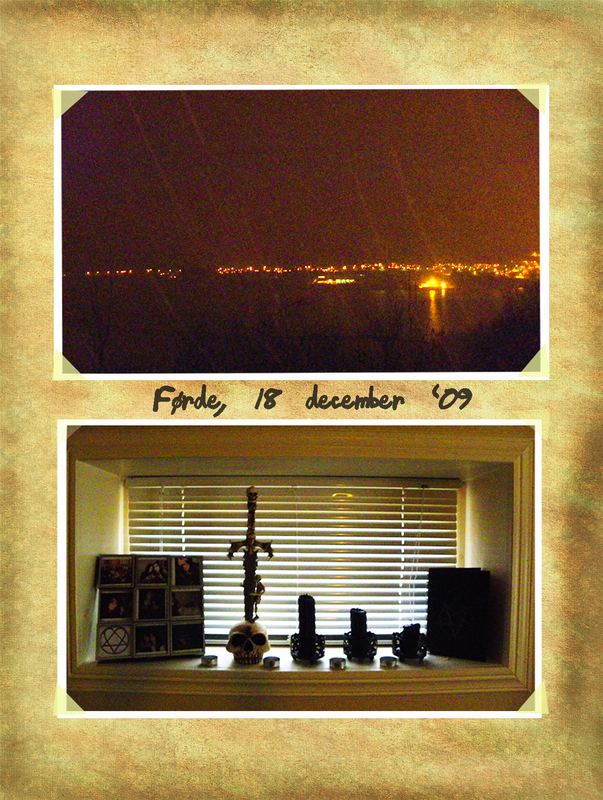 It’s a passing visit in Førde, on our way to Bergen where we are about to spend Christmas.I am sitting on a giant couch with a not so warm blanket wrapped around me, listening to the buzzing of the heater. Regretting more or less the cup fulls of vodka I drank the night before which kept my stomach from taking in any more beer tonight and kept me from joining the nachspiel (the adventurous after party going long til morning). I am not Norwegian. Turns out I am the lucky one for the night though. Boyfriend got lost in middle of nowhere wearing sneakers in 20 cm high snow and took 3 hours, an improvised fire, an improvised hood and some frozen toes to find his way back. Just another regular weekend in Norway.